Today I went to the antiquary with my M.
While we were walking, a little moth settled upon the hair of my Dear and I gentle picked her up. She was so graceful and she whispered something I couldn't understand, then she flown away. This gave me inspiration for a new story to tell you, and soon I will take some photos. 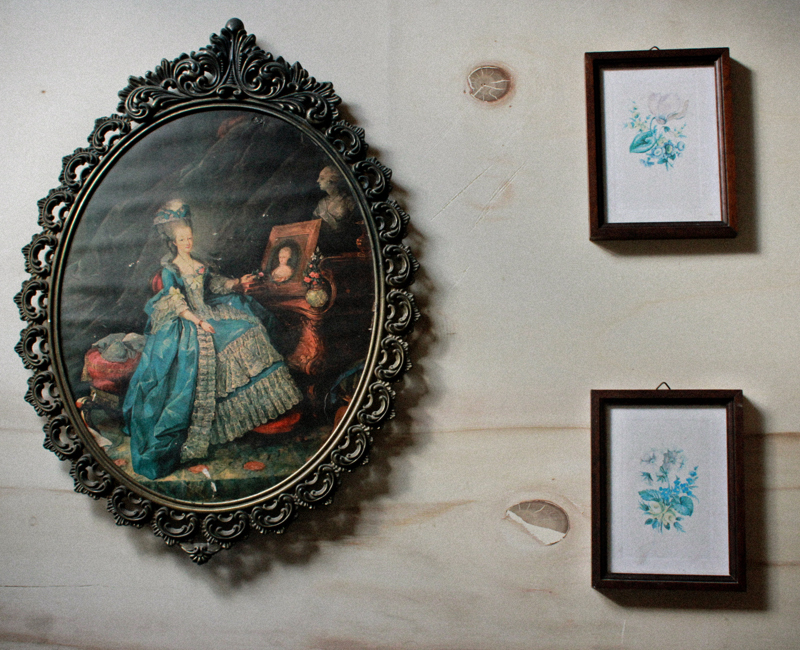 When we got there, we bought this magnificent victorian painting and these little portraits. I am thinking to fill my workspace with these.